"I had a nice warm room, with free wireless connection. The hotel is right in the centre of the city, so everything is close at hand. 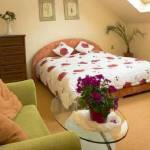 They le..."
Pension Grand is situated in the historical centre of Košice, in the immediate vicinity of the pedestrian zone. All of the cultural and historical sights and restaurants are located just a few minutes of walking. 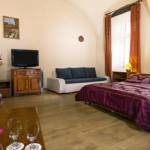 Each of the rooms has a newly reconstructed bathroom, local and satellite TV programs. We also have a wi-fi connection to the internet. Parking is provided in a secured parking lot. 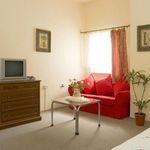 The rating of Penzión Grand Košice is 7.9 from the maximum 10, 112 based on actual and valid guest ratings and reviews. "I had a nice warm room, with free wireless connection. The hotel is right in the centre of the city, so everything is close at hand. They let me stay for a few hours longer than usual check-out while I was waiting for my train." "Közel a belvàros megis csendes a környék. Kedves személyzet."